March, one of our favourite times of year. Spring is on the brink of fully blossoming – that’s right, more daffodils and baby lambs will be greeting you soon! It is also a particular favourite time of year for Christy HQ too, as this is the month of celebrating sleep. National Bed Month* takes place between the 1st and 31st March annually. Founded by the Sleep Council, an organisation dedicated to improving peoples quality of sleep, this campaign encourages you to reflect on your nightly routine. Yes, that’s right, this is a month dedicated to improving the relationship between yourself, your bed and rest. Amazing. Okay so this is not an excuse to ditch work for a month and sleep all day everyday (we can wish upon a star for that time but it doesn’t look like human hibernation will be a trend anytime soon). But, this is a good time for you to reflect on your routine, your well-being and ways to improve both. 59% of total participants struggle to get a good night’s sleep, 65% of the total were women and 47% of men respectively. 35% of total participants found that sleep deprivation was as result of Stress. 26% of total participants referenced Discomfort, and 25% of participants referenced Temperature (too hot and too cold) as a form of sleep hindrance. Comfort, Stress, Temperature. Three important factors that influence sleep. Three things that you can change. Three things that you have an element of control over. At Christy, we are dedicated to helping you as much as we can. Our products are designed with you in mind, and so is the information which we provide. 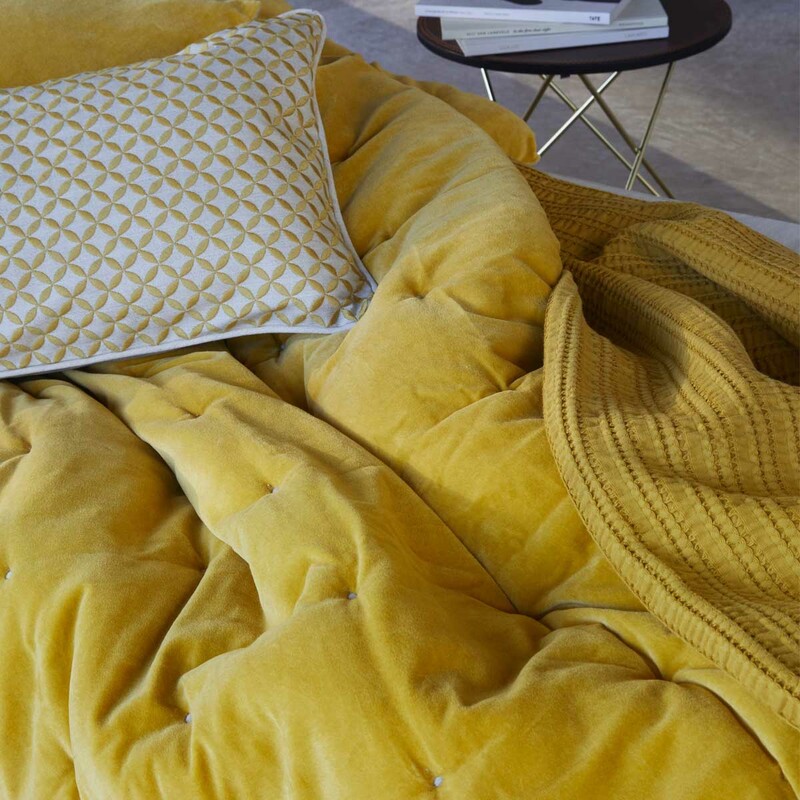 On that note, we would like to share with you some top tips on how to make your bed cosy, comfortable and a balanced temperature from our experts in the design department. Take a read below! Soft blues can be calming, serene and tranquil. Yellows can be stimulating, happy and energising. Greens can be harmonious, refreshing and renewing. 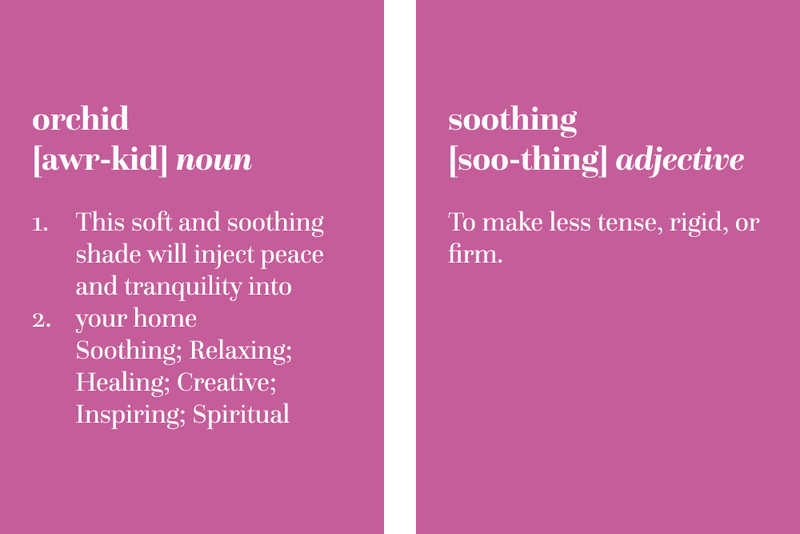 Soft pinks can be soothing, calming and balancing. Purples can be relaxing, inspiring and spiritual. 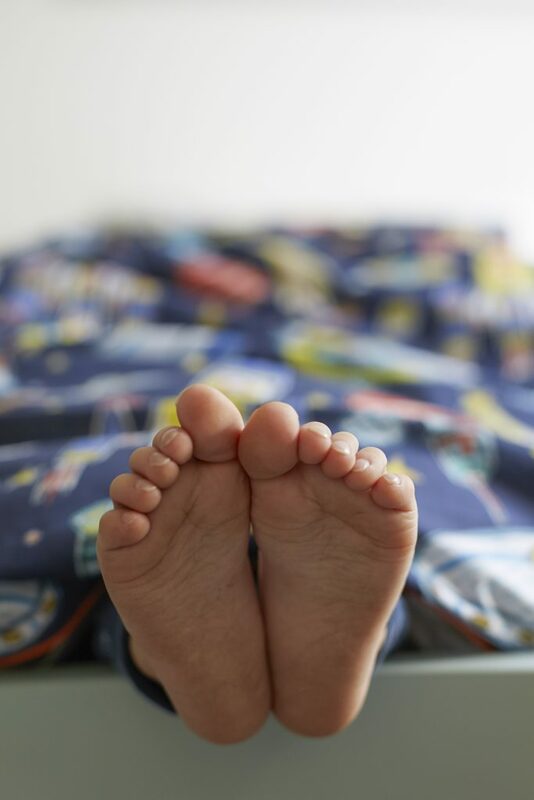 *The Sleep Council, founders of the National Bed Month campaign, is an organisation which investigates how sleep affects your health and well-being, and provides brilliant tips on how to get more of it. More time for dreaming and escaping to a paradise. 2018 was the year of Ultra-Violet, when the striking purple shade really took a hold of fashion, interiors and everyday life. 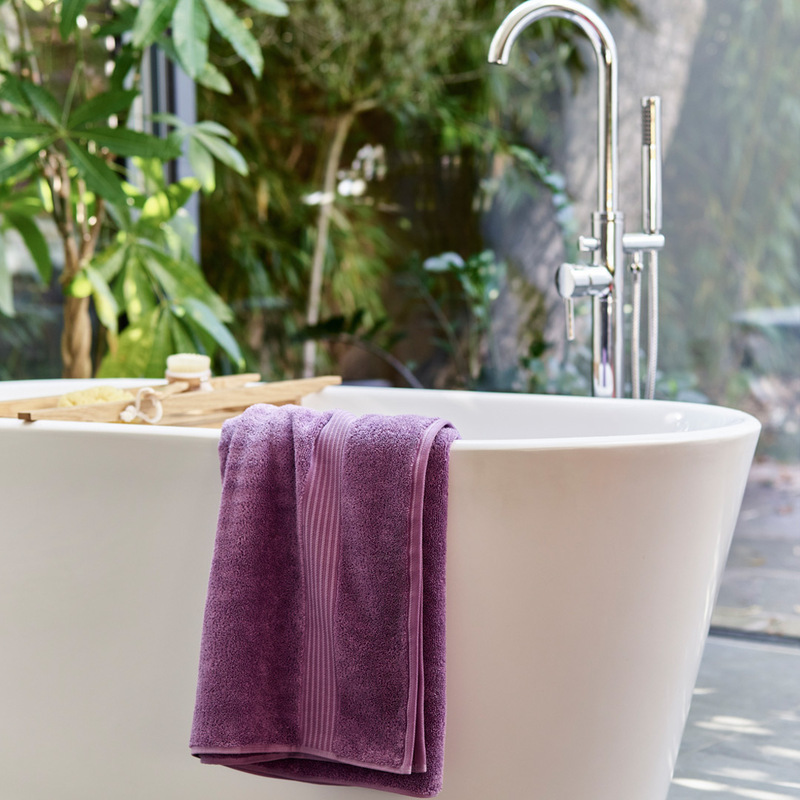 This year, purple hues are still popular and we’re so excited to showcase our NEW Orchid towels for March colour of the month. Introducing our Supreme Hygro® Orchid towels collection it is one to admire. A colour popular amongst the royals which represents, respect, admiration and dignity. Orchid boasts lovely tones of lilacs making it the perfect partner to a pastel bathroom colour palette. 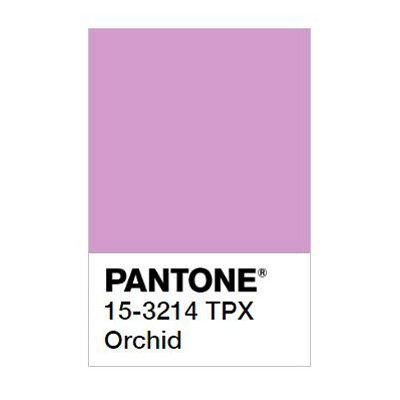 The soft and soothing shade of Orchid will inject peace and harmony into your life and ensure a colourful transition into spring which is only just around the corner. We can almost smell the fresh flowers in bloom… The hot cross buns toasting away nicely… The extra hours of daylight which we cannot wait to meet again… But back to today’s reality! Made from our renowned innovative Hygro® technology this luxurious towel promises to become softer and loftier after each wash. Yes, that’s right this towel is not just one for show. 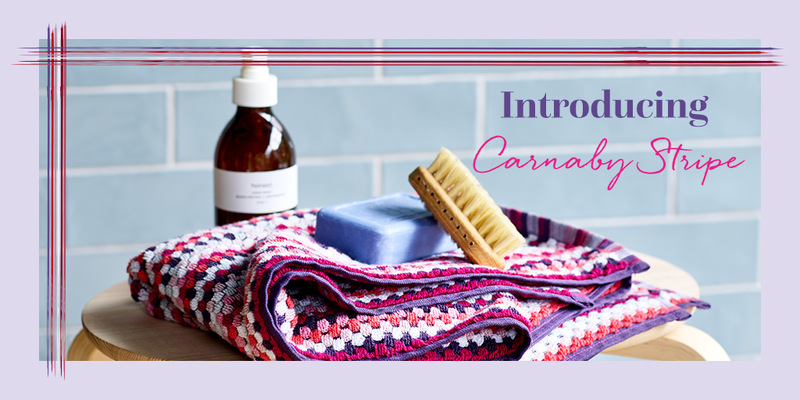 It’s one to use and parade every day and is available in a range of colours and sizes including face cloth, hand towel, bath towel and bath sheets so you can mix and match! Explore the entire colour range here. Our NEW Carnaby stripe towels in Berry. A match made in towel fashion heaven. Post a picture on your Instagram and tag #christycolourofthemonth to WIN a complete set in the next month’s colour! 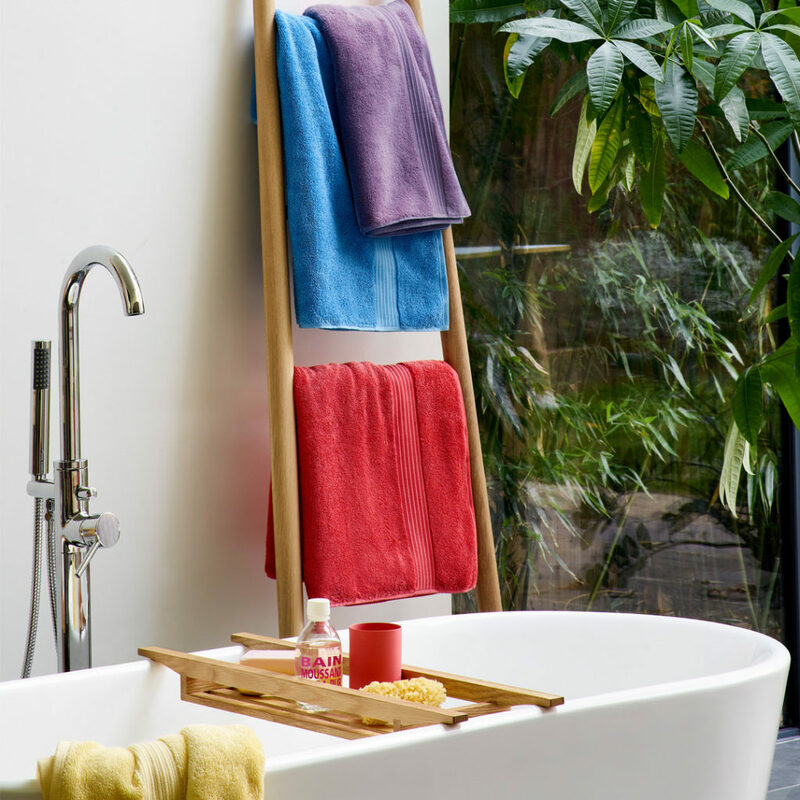 Our Orchid towels are the perfect way to bring your bathroom up to date without investing in a full new bathroom suite. 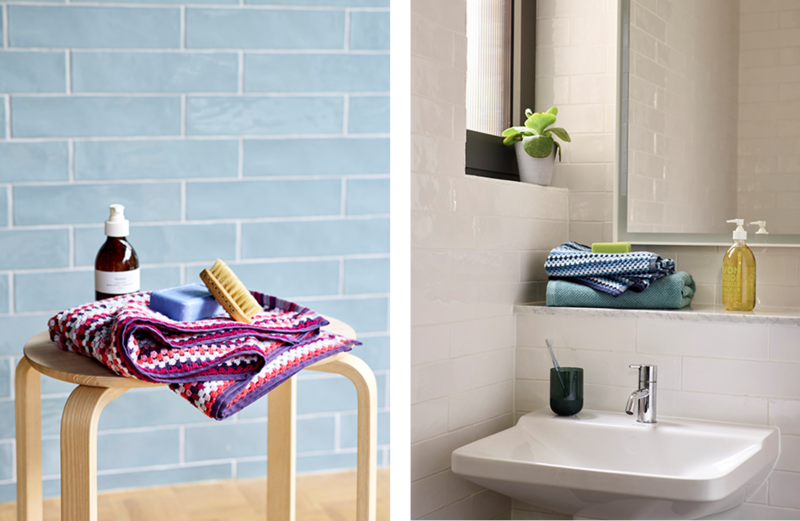 New towels also allow you to inject fashionable pops of colour into your interiors scheme with little effort and can make a huge and dramatic difference to the look and feel of your bathing space. Orchid, your new favourite colour. Make March marvellous and shop Orchid online now. A phrase that most children, nine times out of ten, dread. The thought of stopping playtime is normally a walk down tantrum lane, but what if you can ease them into bedtime gently so that the fun never seems to stop. With our brand NEW Junior collection additions you can make your child’s journey to dreamville easy and fun! Bath time is always an excitable occasion, full of bubbles, rubber ducks and water inspired adventures. But what is even more memorable is the moment you wrap your child up in a soft cotton towel for a cuddle. Our Starlight towel is your little ones bath room accessory which is so soft that it is out of this world. Looking for something similar but in pink? 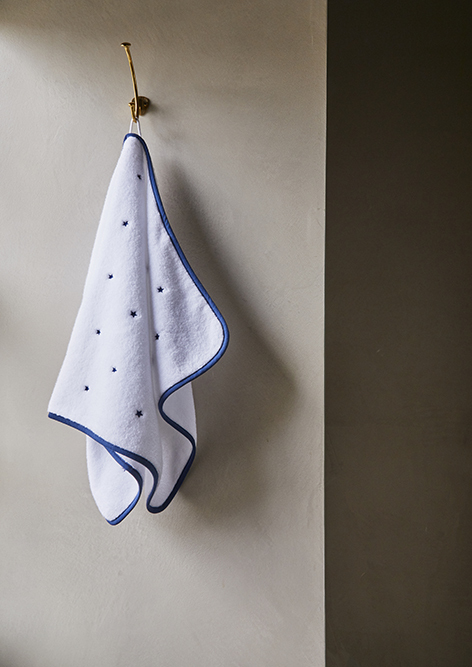 Look no further than our fun Polka towels. Celebrity mum Lateysha Grace chose it as one of her favourites – and it looks like her daughter Wynter loves it too! Caption: Thank you to @lateysha_grace for sharing this beautiful moment with us. Pre-bedtime play would not be complete without the Christy Acorn Robe. With a fun tassel detail and lightweight nature, this is the essential style statement for your pride and joy. The Titanium Acorn Robe is a colourway is a brilliant fit for Jedi infused adventures in a galaxy not so far away. Also available in Soft Coral and Midnight – simply wonderful! Here at Christy, we love every season especially Summer. But with the warmer months coming to a close, we’re still craving that sense of escapism that you feel on holiday. However, this doesn’t have to be the case, with a couple of addition we can help take your home from low key to luxe in an instant. From encapsulating the aromas of far-flung shores with diffusers and candles to putting up your capture Summer memories in frames and displaying them together around your home. Alternatively, read the below to see what else you can add to truly transform your home into a post summer sanctuary with no passport required! Perfect for style seekers, our Christy Maroc towels give your home a boutique hotel feel with the perfect portion of elegance. 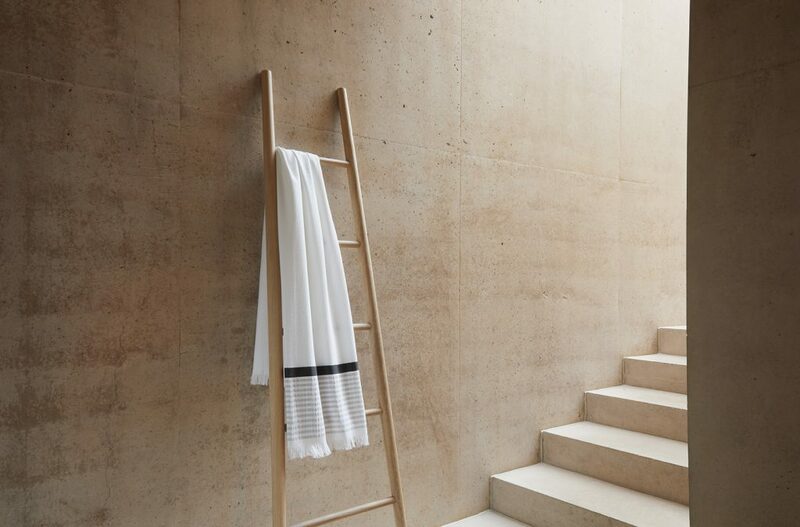 Inspired by exotic spas around the world, this hammam towel is perfect for creating the ultimate relaxation zone. 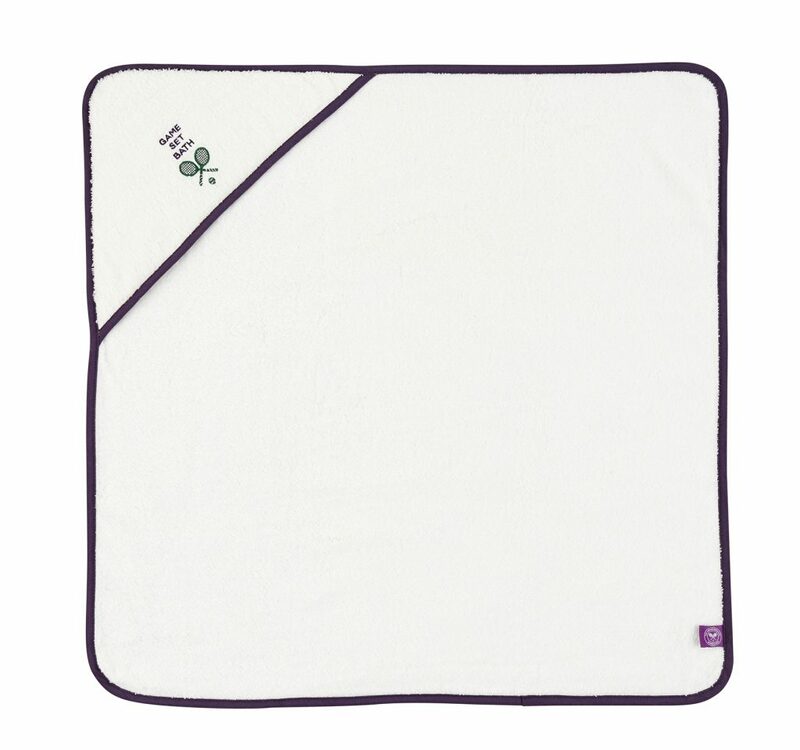 Made with 100% cotton, the towel is super light and easy to dry. 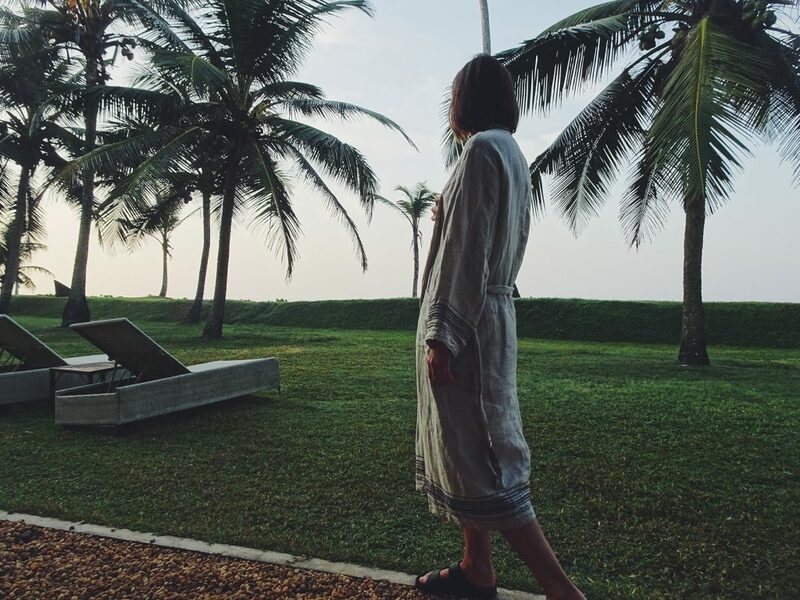 On holiday, relaxation is paramount and being at home should be no difference, so give yourself the luxury you deserve and snuggle in our Luxury Egyptian robe. Perfect for those evenings where your only company is a glass of wine or a G&T, a natural face mask (try avocado and honey) and a film of your choice. 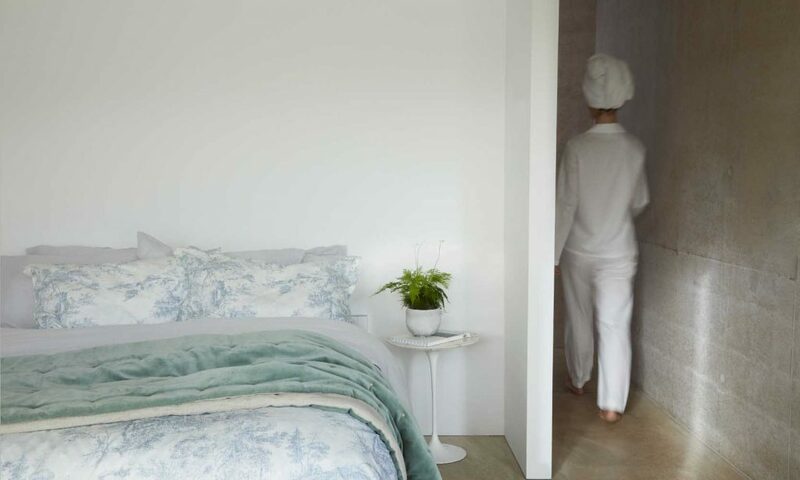 Inviting and indulgent, treat yourself to our Siam Bed Linen for an authentic boutique hotel worth look that feels wonderfully fresh against the skin. Combine with the fabulously elegant Amalfi throw and pillow sham in Midnight for a truly timeless partnership. So grab your book and nestle yourself into a cosy cocoon. We believe you deserve the best, so we’re here to make sure you soft furnishing don’t lack luxury. Our Christy Metropolitan Accessories never fail to give your sleep that little bit of extra contentment and are guaranteed to transform your bed into a sanctuary worth of a five-star hotel. Imagine, you are sat in centre court. Your seat is a breath away from the finalists. You are so close to the court you can smell the freshly cut grass. The game begins. Players and fans from all over the world come to experience this prestigious event filled with excitement and luxury. But this is also an experience that you can bring home. Wimbledon only source the finest. The best champagne, the juiciest strawberries and, without a doubt, the most beautiful towels the world has ever seen. Christy have had the privilege of designing and making a towel perfect for The Championships, Wimbledon for over 30 years. Ensuring that the design is bold and beautiful every year. Fit for professionals. Fit for champions. 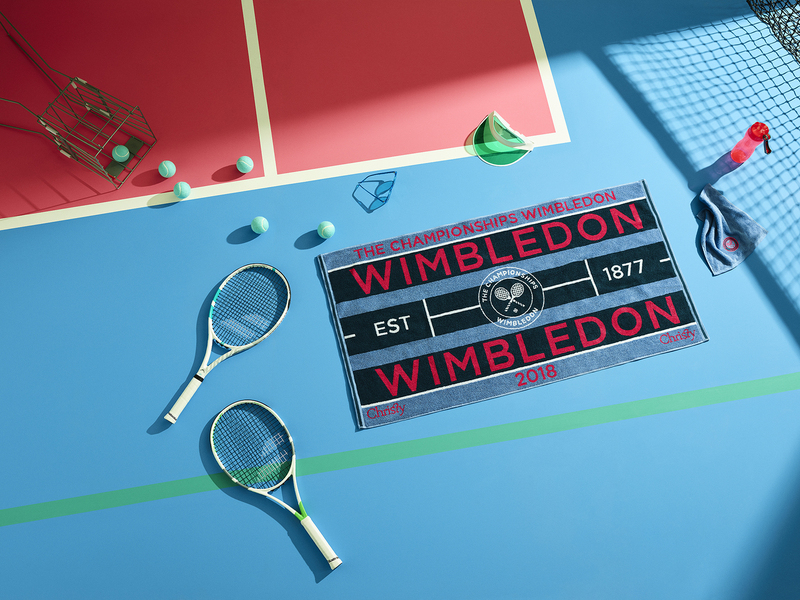 Our wide Wimbledon range will help you get into the spirit this year! 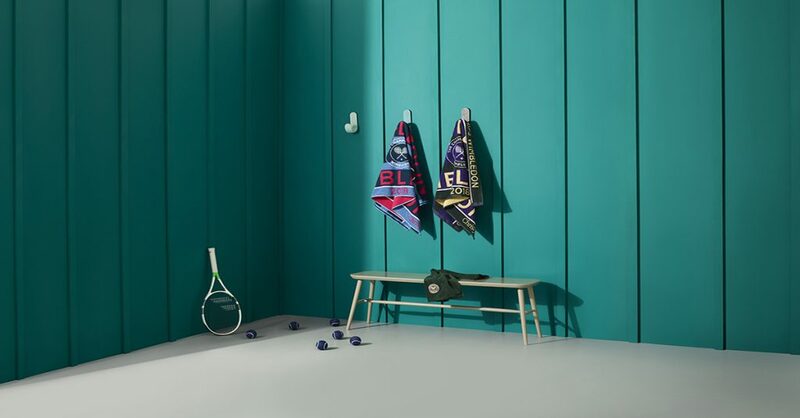 The Wimbledon Towel – even the name increases our Wimbledon fever! Be sure to check out our Mens Championships Towel incorporating the iconic Green and Purple combination. Our Ladies Championships Towel is simply b-e-a-uitful! Block colours of Cornflower Blue and Punchy Pink add an element of fun. Game Set Bath! The collection fit for your little Champion. 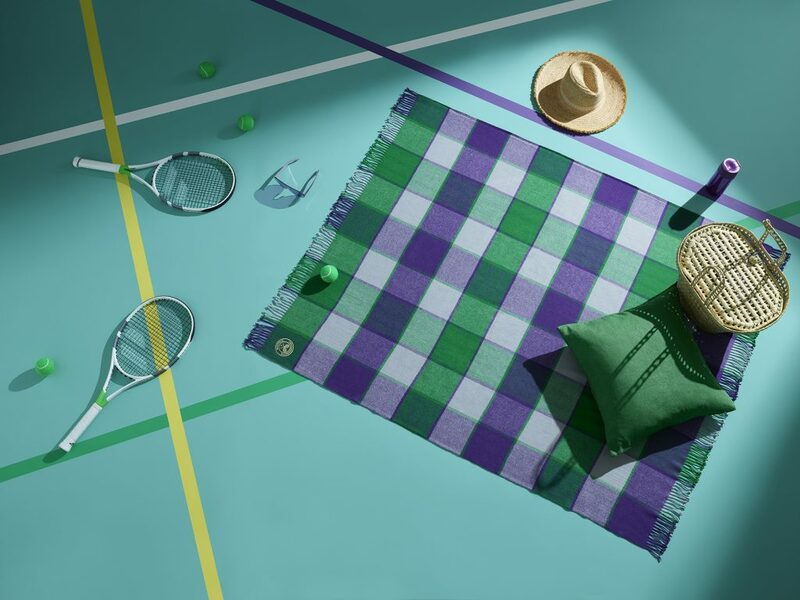 Make sure that your Wimbledon finals BBQ is fit for the occasion by dressing your garden with our beautiful Wimbledon blanket. Here’s a sneek peak at our towels through the decades! For those of you who don’t know, allow us to introduce you to our newest Brand ambassador Victoria Pendleton. 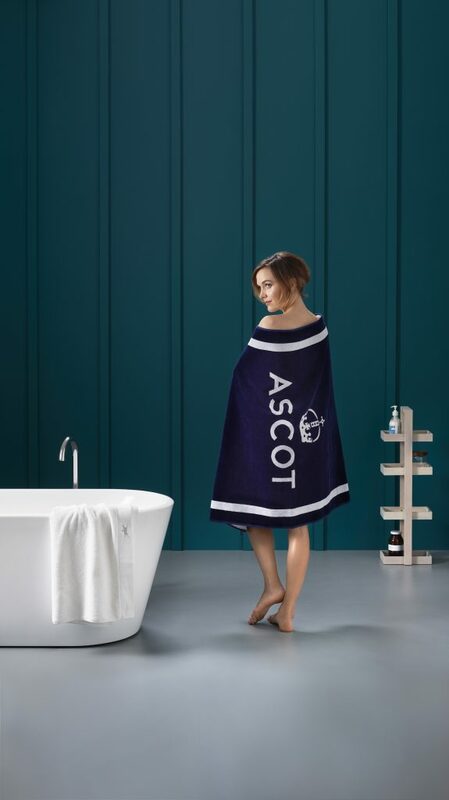 And with the most prestigious event in the horse racing world only a week away, let’s find out more about this amazing talented Jockey who wears our Christy Ascot towel with pride. Christy is a brand I became aware of through their support of Team GB. We received products within out kit to make our stay in the London 2012 Olympic village more comfortable, the pillows and towels were of a lovely quality. It’s the little things that make all the difference. How did you get into equestrian sport? I was always into sports at school and wanted to be part of every team possible, it was the one subject that I excelled at, despite it seeming to be the least important on the curriculum. My dad was a keen competitive cyclist his whole life, racing domestically and even holding some hill climb records and a national championship title. I spent my childhood watching him race, it was only a matter of time before I followed in his footsteps. I was talent spotted at 16 by the national team and after university moved to train with the Great Britain team in Manchester the rest is history. In 2013 I was approached by a sponsor to take up a switching saddles challenge, learning to become a jump jockey in 12 months to ride at Cheltenham festival in the amateur race, the Foxhunters Chase, a 3-mile race over 22 steeplechase fences. I had never ridden a horse before and had my first lessons with Yogi Breisner, before spending some time at the BHA British Racing School, I knew instantly that is was something I wanted to try! It was so exhilarating. Some of my cycling training really helped me to become a jockey; core stability, leg strength, focus and determination. I raced some flat races, point-to-point and some hunter chases and ended up coming 5th very unexpectedly in the Foxhunters Chase on the beautiful horse called Pacha du Polder, I love that horse he looked after me. Since that experience I have continued to ride, I have two retired thoroughbreds which I am retaining to become eventers. I have also tried a little showjumping for charity and some polo. Horses are a big and permanent part of my life. What is a typical day in your life like? I walk my dogs in the morning, and then go to the yard to ride my two horses. I come back for lunch and often head into London for meetings or engagements. I have a portfolio career so lots of different opportunities come my way! I try to make the most of it and experience as much as possible. I tend to do fitness work in the evenings. I have a gym at home with plenty of equipment so I am very lucky, and I love keeping in shape. I love doing photo shoots! Doing something a bit different. I’ve never been in a bath full of foam before! It was fun and I really liked the images. It is lovely to feel glamourous when you spend so much time in riding breeches and polo shirts! Where did your love of horses begin? Do you own any? I have two horses, According to Sarah who is a lovely chestnut mare and Vesperal Dream my elegant black beauty (those are their official racing names) they are both retired racehorses from great yards. I love them to bits. Do you have any healthy living tips for our readers related to fitness? Little and often is the key! Rope friends into committing to a plan with you, it’s always more fun to work out with people rather than alone. If you struggle to get motivated, enter an event to work towards, maybe for a charity you care about to help push you at training when you are struggling. My bedroom it’s cozy and relaxing. It is my haven. Sleep is really important to me. If you could give your teenage self, one bit of advice, what would it be? Worry less about the future and enjoy the moment! The Yard with my horses or out in the woodland on a hack in the dappled sunshine. Greatest achievement in your life to date? Finishing 5th in the Fox-hunters chase at Cheltenham festival…. oh and a couple of Olympic gold medals! 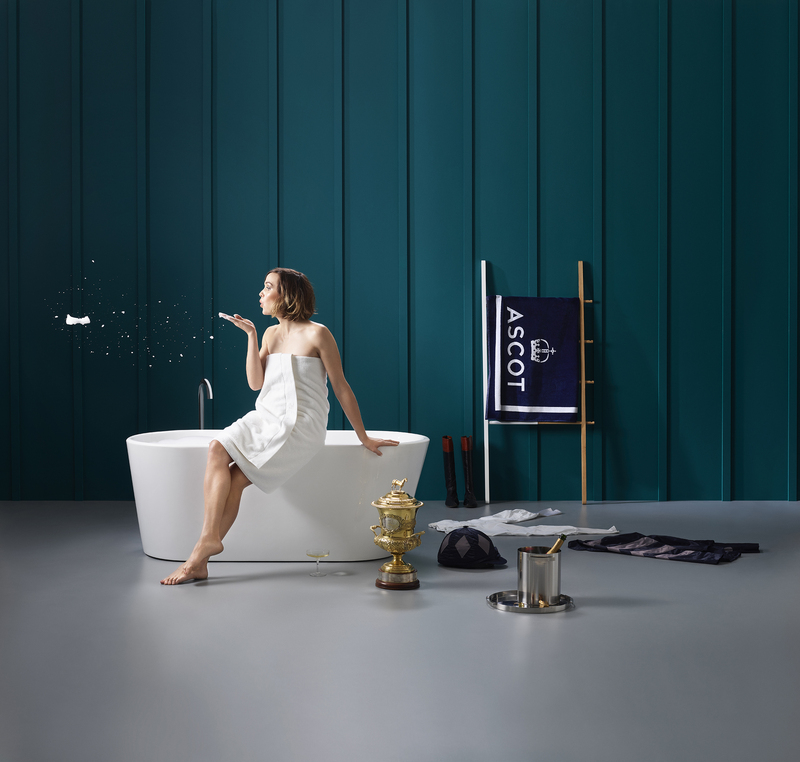 Shop our whole Ascot range. With each change of season comes that feeling of refreshment and change. We can’t always put our finger on it, but the shift in mood and energy makes our surroundings feel new and exciting again, and there’s nothing like indulging in that feeling of newness. If you’re anything like us, with each season, you’ll be itching to make some small changes to your home to reflect what you can see out of your window. With Summer on the horizon, the team at Christy sat down and had a chat about our favourite ways to reinvigorate our homes. Here’s just some of our favourite ideas. Probably one of the easiest ways to bring the outside in, is to regularly take some cuttings from the flowers growing in your garden. 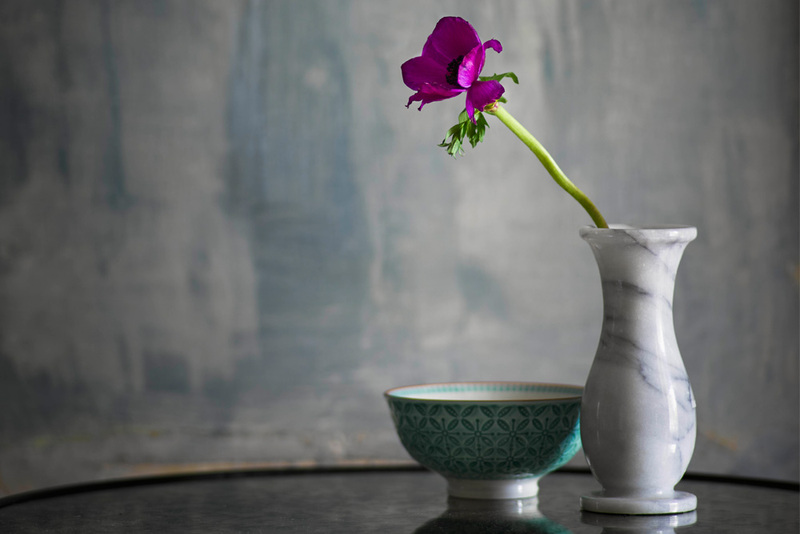 You don’t have to strip the trees and bushes bare, just take a flower or two, and pair it with some green foliage in a simple yet elegant vase. If you don’t have flowers in your garden, it’s time to call upon your friends, family and neighbours. But don’t forget to plant your own flower beds so you can return the favour next year. Let’s face it, the Christy team couldn’t talk Summer home refreshments without bringing up soft furnishings. And while we may be slightly bias, we’re big believers in having linens for Spring/Summer and another set for Autumn/Winter. This includes bedding, cushion covers, tea towels, bathroom towels, etc. You will be amazed at how different your home will look and the new lease of life it will give you. 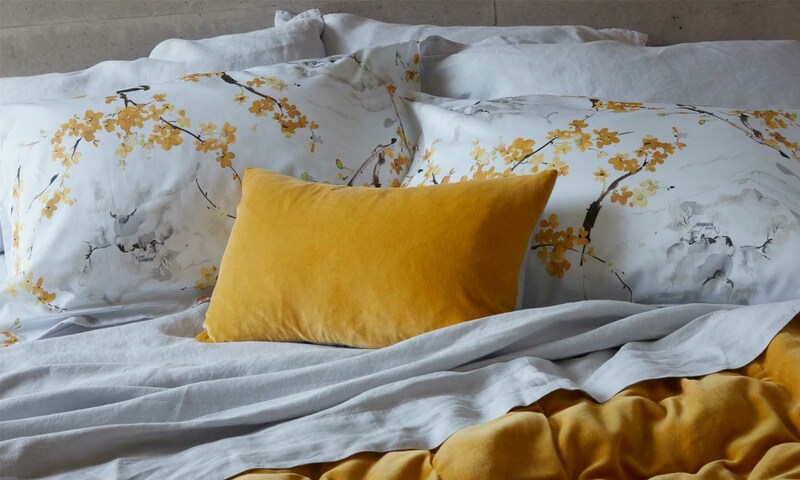 For summer linens, remember the saying ‘bright and light’ – something bright in colour, such as greens, yellows and whites, and a light material such as cotton or linen. This Coniston Bed Linen would be a stunning addition to any summer bedroom, and the 200 thread count sateen cotton will keep you cool on a hot summers night. *Christy top tip* – store your linens in an airtight container to ensure they are protected in the off-season. We’re big believers in the humble vac-pac bag. We’re not asking you to give up the that expensive original painting that sits with pride on your wall, we’re simply talking photo and poster frames. 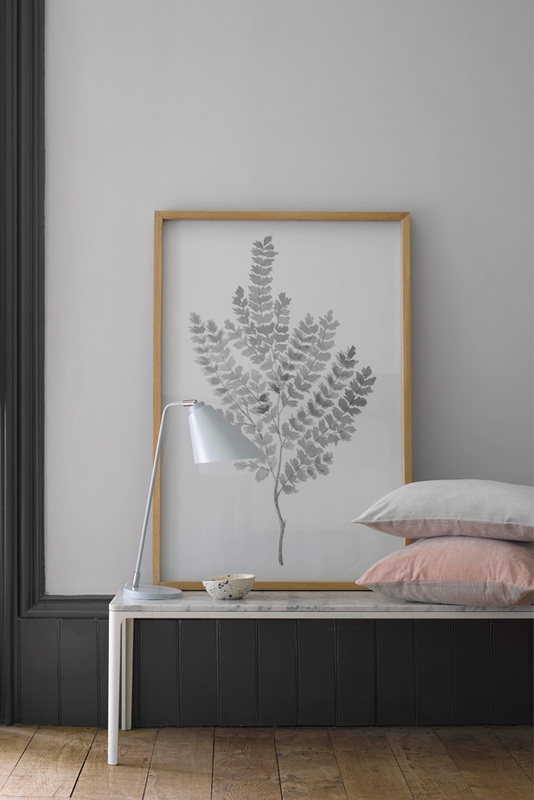 Try moving the positioning of existing artwork, or get a new print for one of your frames; a sure-fire way to make you feel excited about your home again. A suggestion from one of our Christy HQ’ers is to change family photos to those that have been taken in the summer months or on a holiday, instantly reminding you of summers gone by. We’ll definitely be stealing that one! Do you have any tips for refreshing your home for the summer? Let us know over on Twitter, Instagram or Facebook and we’ll share our favourite suggestions. Spa breaks have always been a popular choice to escape the mundane and to relax. In our busy everyday lifestyles filled with balancing work, family time and a social life, it can be hard to find the time to get some you-time. Sometimes you cannot book a spontaneous spa break, massage or facial. So, why not bring that spa feeling to your home instead? Made especially easy with our Christy spa-inspired bathroom collection. Spas balance earthy tones with light accessories to create that peaceful ambiance. 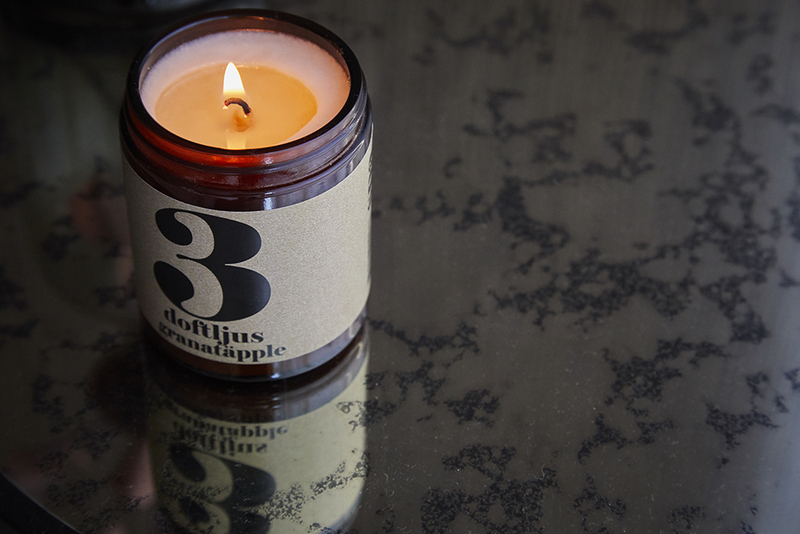 An atmosphere that can be reflected in your own bathroom. 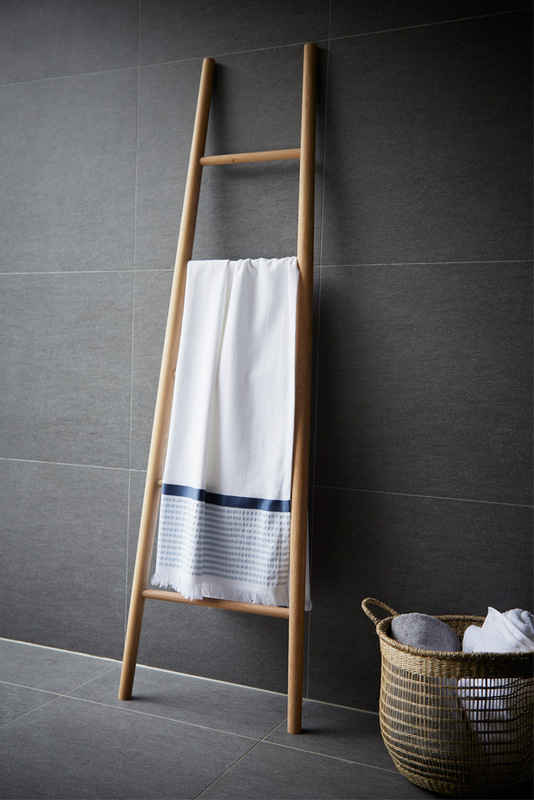 Maroc towels, one of our favourite summer towel designs, is lightweight and relaxed. Draped over a leaning ladder against a wall, or hung over the side of your bath, you can transform your bathroom into a spa-inspired beauty. Fringe finishes are so chic right now. Our Kasbah towel’s delicate fringe addition and ribbed texture enhances the overall bathroom aesthetic and your washing experience. 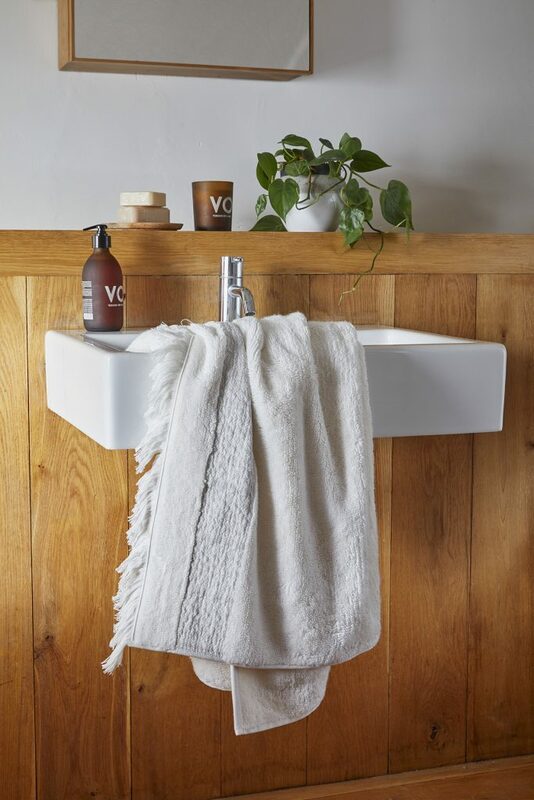 Paired with the Christy Maroc towel, these towels can be layered in your bathroom to create that full spa vibe. Allow us to set the scene. Sat in a jacuzzi, you hear the bubbles continuously popping around you. The stream of running water brings you peace and comfort. You close your eyes, rest your head back, and enjoy the melody of running water and piano symphony playlists. Blissful. Although we may not have a jacuzzi at home, a warm bubble bath is just as relaxing. Once you step into it, you can immediately feel the tension in your muscles release. Instantly at ease, you lie down and rest. 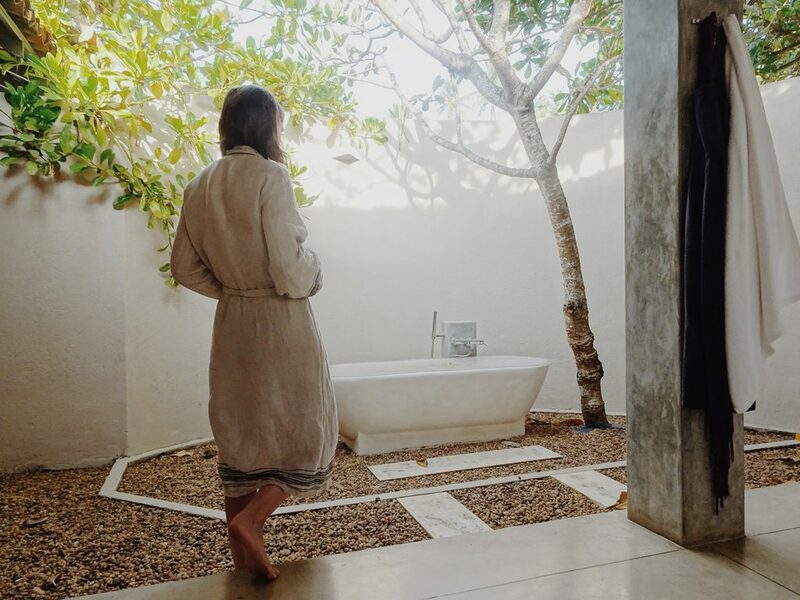 This tranquil experience should not be ruined as soon as you step out of the bath. You grab your Christy bath robe. Wrap yourself up inside its lusciously sumptuous 100% cotton perfection. 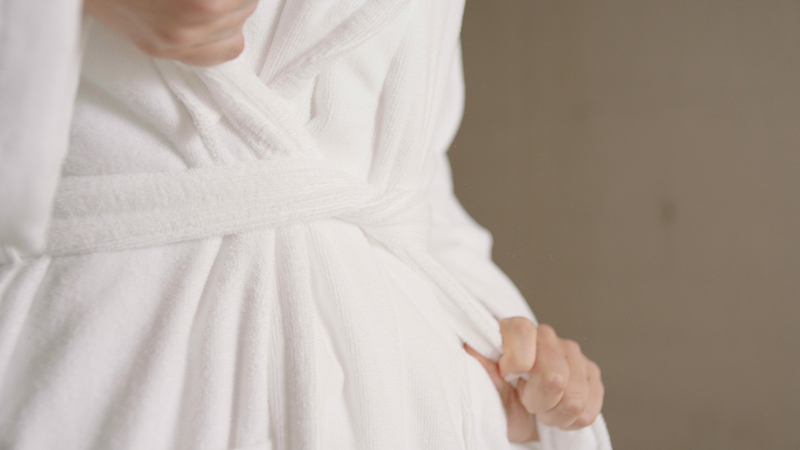 To get this ultimate experience, the Christy Supreme Velour bath robe is the perfect solution. 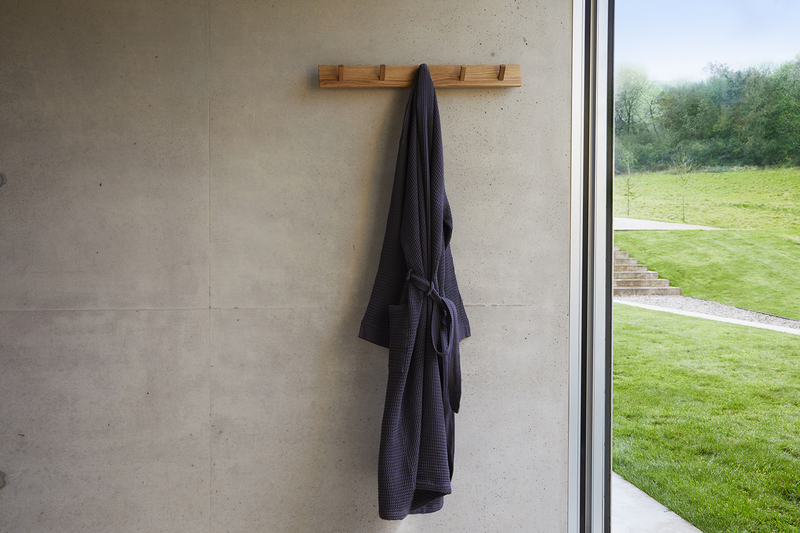 For a lighter option, for those hot summer days lounging by the pool, our Mali and Faraday bath robes are a fabulous alternative. Mali’s soft waffle texture is perfect for that effortless, poolside style. You may not be on holiday abroad when wearing this but you will sure feel like you are! Wonderful stylist Hollie shows us how easily the robe is to use both at home and away! 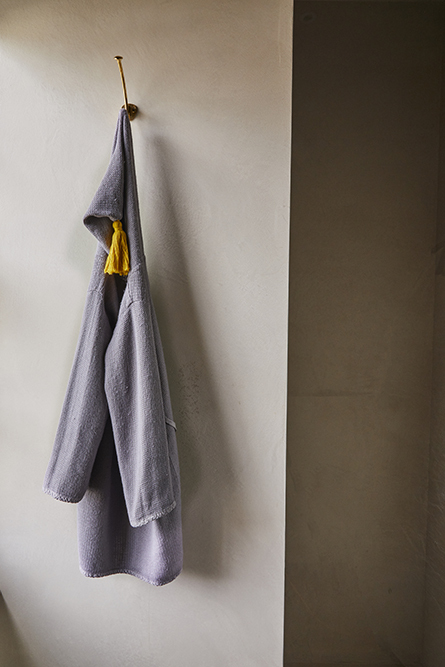 Our Faraday bath robe goes on tour and looks fab. It is very easy for a room to become monotonous over a long period of time. Easy for a room to lose its sparkle, appeal and on-trend vibe. But, this is very easy to fix with pops of colour and texture. With a dash of new paint, and some accessories you can make your bedroom instantly feel contemporary whilst maintaining that home cosy feeling. Brand new, with minimal effort – who doesn’t want that!? Our Jaipur throw and cushions help with exactly this. 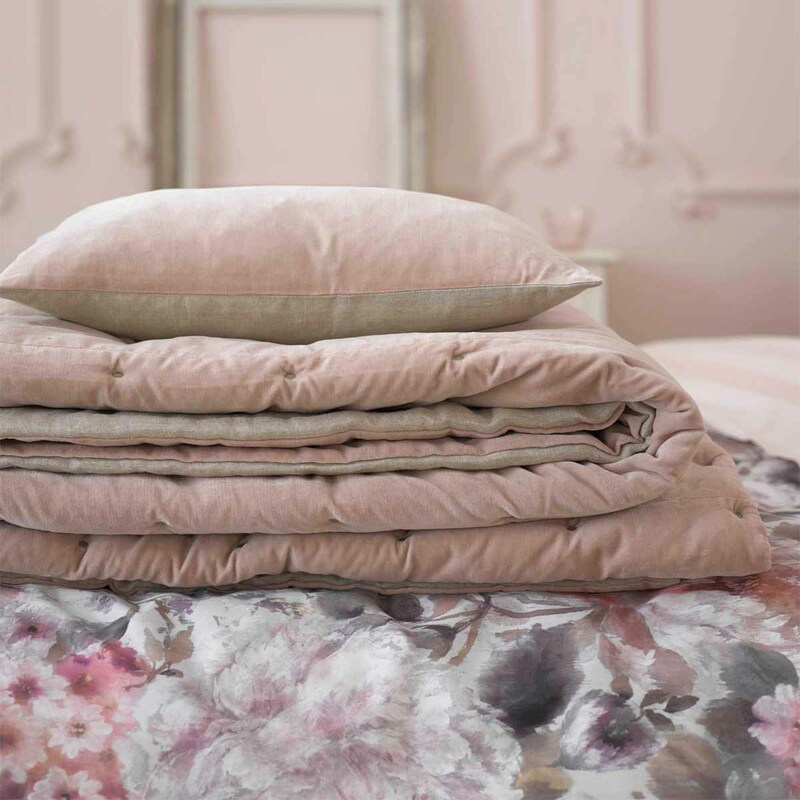 The plush and lusciously thick throw can be added to any bed linen. 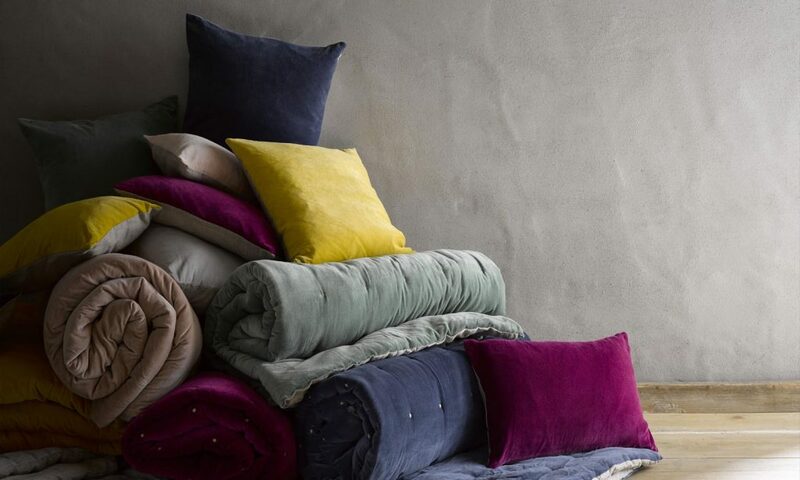 And, as well as being unbelievably cosy and snug, it is available in a wide range of colours from dusky pastels to vibrant brights, making it easy to pair with your design aesthetic. From bold and brash, to minimal and understated, this throw is available in six colours which help you to attain your bedroom design desires. Perfection. Tumeric, the colourway that is bold yet is easy to pair. 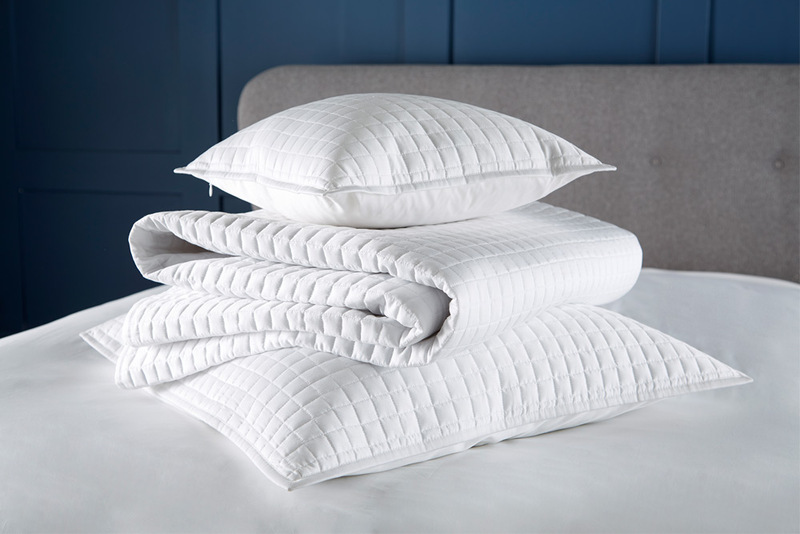 It can lift plain white bedding, or bring out delicate accents in a design – as demonstrated with the Haruki bed linen. The Jaipur in Jade, understated and minimalistic, this colourway is perfect for a summer bedroom revamp. 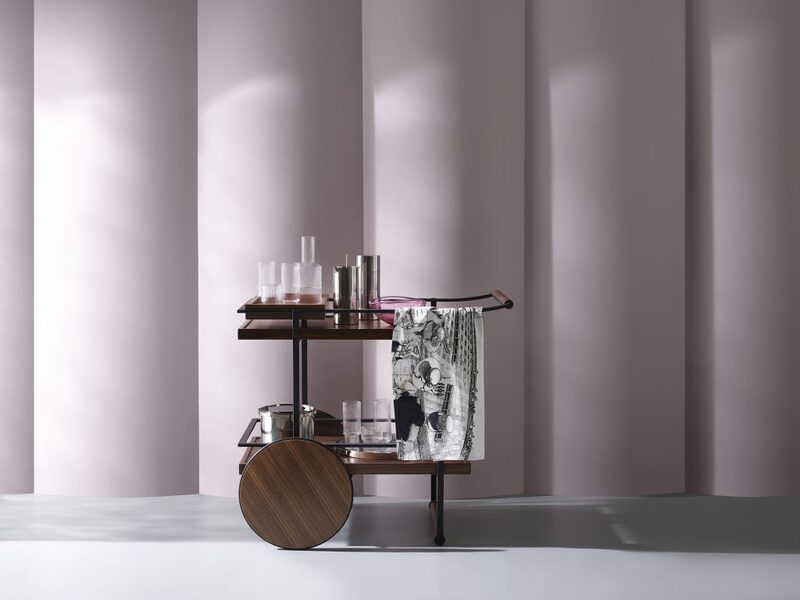 Beautiful for summer, our Dusky Pink Jaipur can be paired with the minimalist or the boldest of colours. Let us know what your favourite colour of Jaipur is? Share your style on social media using #MyChristy. Check us out on: Facebook, Twitter and Instagram. 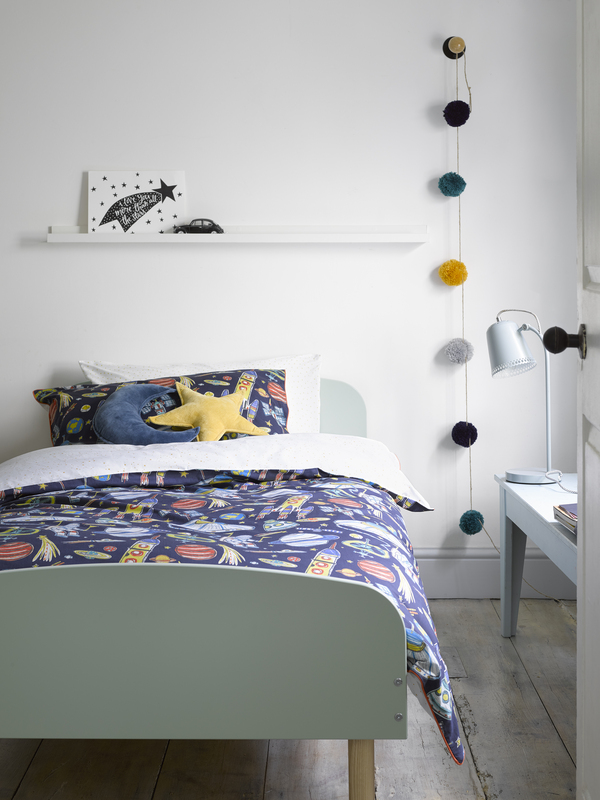 Just landed in our Christy Junior Collection, or should we say taken off is our NEW Blast Off Bed Linen Range. 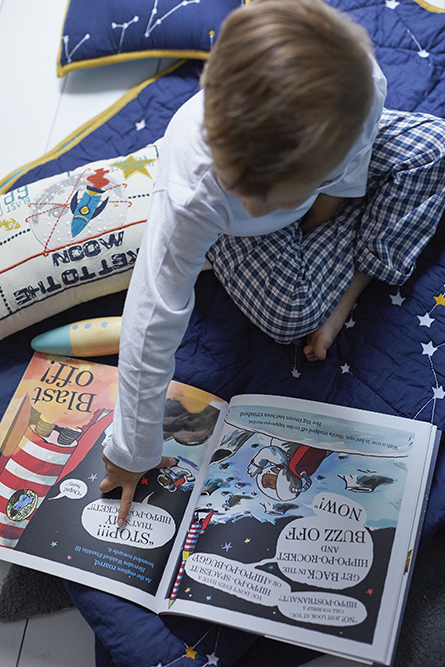 Your little one’s dreams will be rocketed to another galaxy with our space themed bed linen made with 100% cotton. With details of spaceships and rockets they will always have the correct transport to explore the many planets and stars the Blast Off range includes. And the journey through their dreams will be out of this world! The perfect addition to the range is the two NEW cushions in the collection. Who needs a telescope when you have the stars and moon in your own bedroom?! Made from super soft velvet it also makes an ideal cuddle buddy. 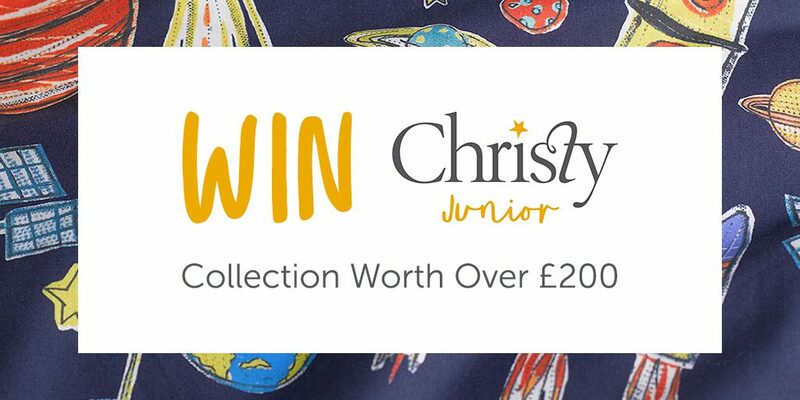 To celebrate the launch of a new range in our Christy Junior Collection we’re giving you the chance to WIN a full set of Christy Junior bed linen including our jersey cotton Speckles sheets and pillowcases, your choice of bed linen for your little explorer or even yourself, a cosy throw and super cute Star and Moon cushions. All you need to do to enter this amazing competition is follow the link below and answer the question. Good luck!